China door lock enterprises do not payattention to research, in this disorder era, how to makebetter marketingmethods and structure system is the key for enterprises to be the final winner! Lots of hardware products are coming fromChina, but the bad condition is that most of them are imitation products andlower qualities, sure enterprises are not caring the brand promotion. Nowadaysdoor locks qualities are not strictly monitored, and factories do not have thebig competition, so developing the technology and expanding the marketingstructure are the coreproblem to win the future! 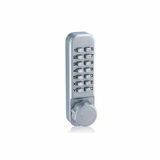 Door lock industry is easy to be attended,and popular products are imitated quickly, the intellectual property right isnot respected, this situation lets enterprises spend less attention in brandpromotion, and big door lock enterprises could not grow well. Door lock isaffiliated the real estate field, and lock is under the door, sure doormanufacturers have the big effect for lock marketing promotion, lockenterprises have to deal with the relationship with door manufacturers,catching the opportunity and rising the sales achievement. However, door lockenterprises couldnot get the point to manage the sale teams, in china buildingprojects are not so fair and all competitions lie in the price, “small fishes arenot good”, door lock enterprises aim at the big order, ignoring the wholeprofit balance. Real estate is developing so fast, and one-stop service is the trend, and resource integration is the competition result. 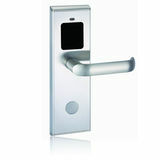 Door lockenterprises can hold this chance and improve the core excellence and shape thebrand, becoming the marketing king!